The Newark Trauma Informed Community Network was established in partnership with Believe in a Healthy Newark and the Greater Newark Healthcare Coalition to bring together key partners and stakeholders who are providing trauma-related programs and services in Newark and begin exploring a vision and plan of action for deepening our work. Do you have questions? Need Help? Too many emails? Directions on how to RECEIVE FEWER EMAILS, post a blog, calendar event, comment, etc. 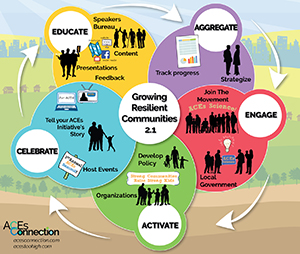 Do the ACEs & resilience questionnaires. Learn about other ACEs. The five parts of ACEs science, plus links to articles, books & videos. Launching or growing a local ACEs initiative? We’ve got tools & guidelines.